Josiane Fanguinovény is Engagement Director at GES International and based in London. Josiane leads the work of the Engagement Department. 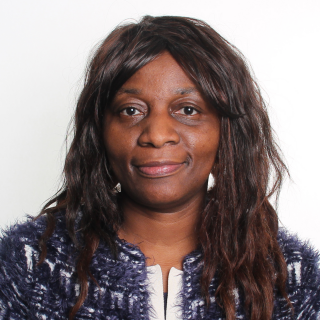 Prior to this, Josiane spent eight years at Governance for Owners (GO), where she provided governance analysis to the GO European Focus Fund and led engagements on behalf of asset managers and pension funds. Her previous experience include a role of Associate Director at Hermes, corporate governance work for Friends Ivory & Sime (FIS), now F&C, as well as a number of legal, investor relations and project management related roles in Paris, at Elf, the oil company, and others. She holds a Master’s degree in Economics as well as a Master’s degree in Law, both from Panthéon-Sorbonne University in Paris. Josiane speaks French, English, German and Serbo-Croat.